The .270 Winchester is a popular round among hunters because of its moderate recoil, terminal ballistic, widespread availability, and consistency. First commercialized in 1925 for Winchester Repeating Arms’ bolt-action Model 54 rifle, the .270 Win chambering system is now one of the most popular rounds in existence. It is especially popular with hunters who prefer hunting larger game such as elk, deer, and moose. This caliber is fondly referred to as the “fast and flat shooter” because of its flat trajectory. This characteristic makes the .270 Win extremely accurate for short range shots as bullets only start to drop below the line of sight at 150 yards. Subject to the weight of the bullet used, it fires fast and precise at ranges of up to 600 yards in open fields. As reliable as the .270 is, its capabilities are limited if it is not paired with a high-quality telescopic sight. A rifle scope is a formidable magnifier that saves your time and energy and increases your shot accuracy. A 3-9x variable power scope fits the bill for the .270 Win, but you can always go for lesser or higher magnification options. The availability of a broad range of rifle scope styles, features and price points for the .270 may confuse you when shopping for a scope. Eye relief – this is the amount of distance between the eye and the scope. Although the .270 produces a moderate amount of recoil, you are better off with a scope that has a generous eye relief. Ruggedness – this simply refers to a scope’s ability to handle a substantial amount of recoil force. Hunting Scope Power – a hunter in an open field requires a scope with a high optical zoom because he or she cannot get very close to the game as compared to one hunting in the woods. A higher magnification offers better visibility for long range shots. Length and Weight – the more loaded a scope is, the heavier it usually is. You should go for a compact scope with a fixed magnification if you feel that a massive scope may weigh you down. Objective lens – the size of the objective lens is directly proportional to the amount of light that the scope transmits. A hunter in a brushy area will require a scope with a larger objective lens than that of one in the plains. Eyepiece – there are usually two types: straight and angled. A straight eyepiece is ideal for quick target acquisition scenarios while an angled eyepiece is best for extended viewing sessions. Pricing – scopes’ prices range widely. Although a higher price usually means greater capabilities, there are cheaper scopes that perform just as well as their pricey counterparts. Weather conditions – while scopes used in shooting ranges do not necessarily have to be waterproof, most that are used for outdoor hunting do. You will also need a durable scope that can withstand the rigors of extreme weather. After much research and numerous tests, we have a compiled a list, in no particular order, of models that we believe are best suited for your .270. The Nikon Buckmasters 3-9×40 Riflescope is a result of the collaboration between Nikon and Buckmaster. Like all Nikon products, the Nikon Buckmaster’s high-quality optics have made it a formidable force in the world of high-performing scopes. It is a rugged yet precise scope that is built to last and ease your hunting experience. It is 100 percent waterproof, shock-proof, and nitrogen-filled to prevent fog accumulation. Its 3-9x variable scope magnification makes it ideal for ranges up to 600 yards in an open field. 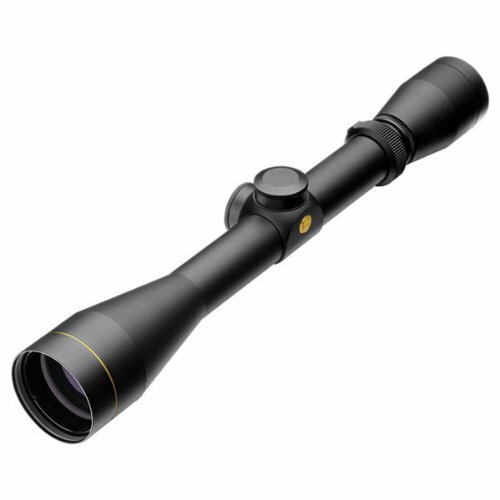 It is versatile and offers sufficient magnification for both short and medium range hunting. Equipped with a 40-mm objective lens and Buckmaster’s Brightvue Anti-Reflective system of multi-coated lenses, it gathers almost a 100 percent of the available light. These features make the Nikon Buckmaster superb for morning and late evening hunting and brush hunters. The scope integrates a dynamic bullet drop compensating (BDC) reticle enhanced with a bullet drop compensator calibrated to provide quick and easy aiming points for different shot distances. This product comes with a Limited Lifetime Manufacturer’s Warranty and is arguably one of the best scopes for the .270 Winchester rifle. The Bushnell LRF (Laser Range Finder) features a 4-12x power optic that invaluable to any mid-range to the long-range hunter. It is equipped with a powerful mil dot reticle and is, therefore, is sufficient to up to 800 yards in an open field. Its fully multi-coated optics enable it to provide a crisp, bright, and glare less HD quality sight picture even at its highest setting. The built-in range finder can accurately determine the range from as close as 30 yards to as far as 800 yards. The range finder’s single 3-volt battery allows it to last to up to 5,000 fires while providing accurate performance every time. Its high accuracy estimation facilitates for a precise holdover that can be useful for long-range hunters. The Bushnell LRF is one of the best rugged models as it is fog-proof, waterproof, and shockproof. It is an all-around optic and is easy to use. The Leupold VX-R is easily one of the best close range rifles for hunting fast-moving game with a .270 Winchester rifle. Leupold is a reputable manufacturer that has been producing award-winning optics for decades – occasionally for the police and military forces. Although it is designed for both shooters and hunters, it makes a great hunting-with-dogs or stalking weapon when paired with a .270. The Leupold VX-R’s 1-4x magnification makes it an excellent scope for rapid hunting. Its illuminated reticle provides a brighter picture with HD clarity. Earning its name as the “Firedot,” the motion sensing reticle enables you to hit the target by just placing the dot on it and pulling the trigger. The motion sensing technology also shuts off the optic after a period of inactivity to save the battery. Known for producing military grade products, Leupold has ensured that the VX-R is fog-proof, waterproof, and shockproof. The DiamondCoat glass fitted on this scope makes the lenses scratch and wear resistant. You can trust this scope to be one of the most durable in its class. The Bushnell Elite Riflescope is designed to aid you during those light-starved hunting situations. Its fully multi-coated optics provide an intense 95% crisp and bright light transmission to deliver superior low-light performance. Patented Rainguard HD treatment allows for precision and excellent visibility even in the harshest weather conditions. The Elite’s one-piece matte finish tube and 100% waterproof argon purged interior speak for its durability and reliability. The scope was recoil tested with 10,000 of 375 high to warrant a shockproof experience. Thi scope’s glass-etched reticle offers ¼ MOA or finer fingertip, elevation adjustments, and audible and resettable windage. The Bushnell Elite turns your .270 Winchester into a lethal shooting machine. The Leupold VX-I Riflescope is an affordable option that combines outstanding Leupold dependability and ruggedness with modern styling to provide shooters and hunters with a class-topping scope. Recently redesigned, it now features additional details that facilitate better performance and Leupold-style reliability. The all new optical system features lead-free, precision ground, and polished lenses to provide resolution and clarity that will be the envy of your hunting buddies. The Leupold VX-1 is coated with Multicoat4 lens coatings that boast of 92% total light transmission making it an excellent sight for dawn-to-dusk hunting. It offers a micro-friction windage and elevation adjustments in ¼-MOA increments and an actual magnification of 1.0 to allow quick zeroing and easy adjustment in the field. Easy and achievable reticle focus is made possible by a fast-focus eyepiece with a low-profile lock ring. Like all Leupold products, the VX-1 is offered with a lifetime warranty. Although not as well-known as most scopes in our list, the Barska Target Dot is as powerful as any good scope should be. Built for long range hunting with the .270 Winchester, it is equipped with a powerful 6.5x to 20x magnification. The lowest setting will come in handy during mid-range shooting and any setting above ten facilitates long range shooting. The caliber proof elevation adjustments enable the scope to maintain zero regardless of the elevation. Built to compete with the more established optics, the waterproof Barska Target Dot is made from high-quality aircraft grade aluminum to ensure maximum durability. It is oxygen-plunged and nitrogen-filled to prevent fog from gathering on the lens. A 50mm objective lens meant for maximum light transmission, an extremely precise finger adjustable turrets, and a thin crosshair makes this optic very effective, even at long ranges. Expectedly, its size makes it a little bit bulky, but this is anticipated of most long range magnification. For the budget minded, the Barska Target dot is the best long range option.